Engineering group ARUP and art and design studio Rebar have announced a design for a rainwater-harvesting, solar-powered, portable pop-up spa that receives every watt of energy it requires from the sun. 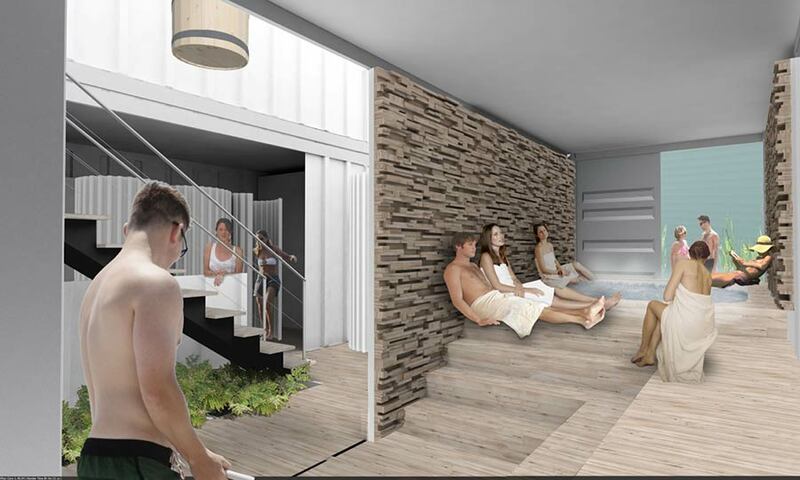 The energy comes from heat exchangers and efficient equipment to heat and power the “healthy hedonist” experience called SOAK. 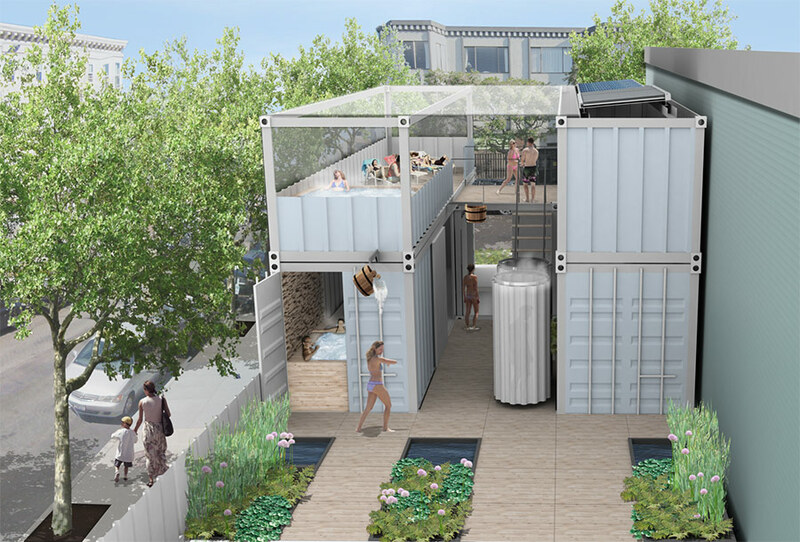 The shipping container-spa conserves resources with thoughtful engineering and provides the core experience of the conventional bathhouse in a microcosm. The project, a prime example of tactical urbanism, joins personal wellness with social vitality while combining the most intelligent form of energy and alternative resources. Half the water necessary to fill the tubs is sourced from rainwater, and all the energy requirements for tub and sauna heat are supplied by a solar water heater and photovoltaic cells, permitting SOAK to restore surplus power to the electrical grid. 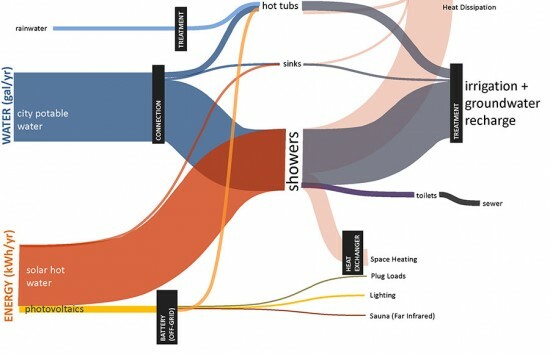 Greywater from tubs, showers, and sinks is routed through water garden cells and infiltrated completely onsite. 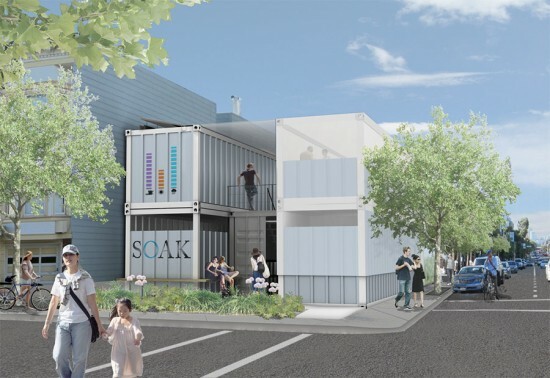 SOAK, whose founder and creative innovator Nell Waters hired ARUP and Rebar to finalize the design intended to activate urban sites and serve as a short-term establishment for redevelopment sites, is entering an important fundraising and site-raising stage. SOAK is searching for a developing parcel with an 18-36 month vacancy window in the Bay Area. 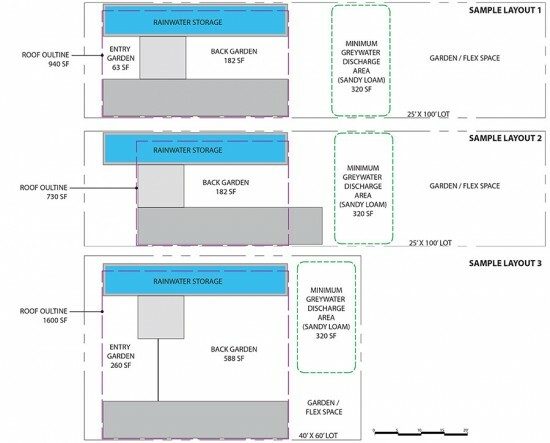 While parcels await the go-ahead for development approvals and funding, the spa temporarily gives the site a purpose by helping the site “stay on the map” and reinforcing visitor habits. 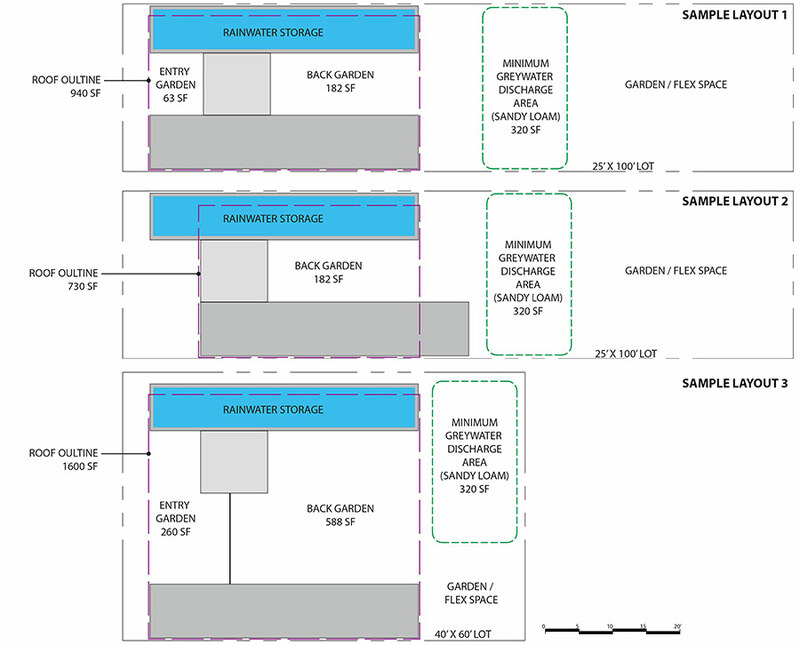 Once the site has been developed, SOAK will move to a new transient location.